Some people feel innately creative; some don't. Many view creativity as a you've-got-it-or-you-don't trait. As marketers, we're often more comfortable labeling ourselves as effective, efficient, or data-driven, instead of creative. At the same time, companies put a lot of pressure on marketers to nail every campaign — every time. Because of this, marketers have grown skeptical of veering away from best practices and using their creative intuitions. We choose to do what’s tried, tested, and true in lieu of that new, crazy experiment that may not succeed. But what if being different is the key to your content — and marketing — success? 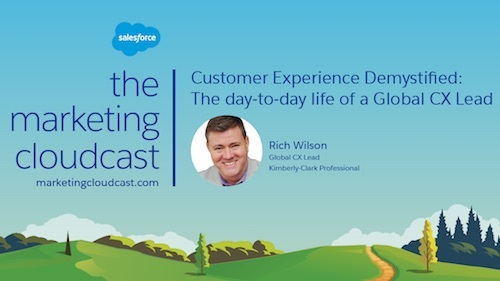 On this week’s episode of the Marketing Cloudcast — the marketing podcast from Salesforce — we’re discussing the ways we can tap into our creativity to be exceptional at marketing. To dive in, we went to the expert: Jay Acunzo, host of the Unthinkable podcast and savant of all things creativity. You should subscribe for the full episode, but our conversation with Jay was jam-packed with insights about unleashing creativity and approaching creative projects in a new way. Here are nine quotes to get you thinking. 1. "Noise is not the problem. Similar noise is." The internet is bloated with content that promises hacks, secrets, and fail-proof tips from gurus. But as Jay points out, “There are no secrets. People who follow that stuff create a lot of sameness and noise.” And all this noise has started to sound very much the same. 2. "People and organizations have within them what it takes to do exceptional work, but they’re just not executing against it." Jay is passionate about encouraging marketers to act on their creative intuitions instead of tired best practices. How can you be the bass drop in a room full of elevator music? 3. "Creativity doesn't mean big." Thinking more creatively about your marketing doesn't mean you have to craft the next award-winning Super Bowl commercial. But it does mean discovering what differentiates your brand from competitors, and speaking to that in a new way. One parallel Jay has noticed when interviewing entrepreneurs for his podcast is that “they all start with an aspirational anchor: your desire, your intent to be exceptional that you can articulate.” What's your anchor? 4. 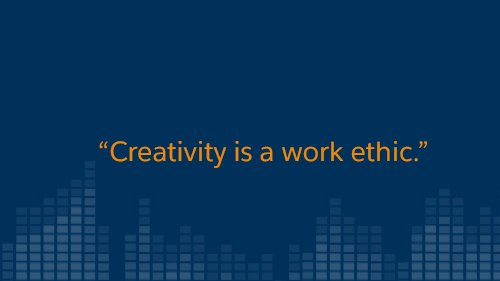 "Creativity is a work ethic." If you think that way every day, creativity will become your way of life and your work ethic. 5. “Everyone has access to the same listicles, but no one has access to your people." 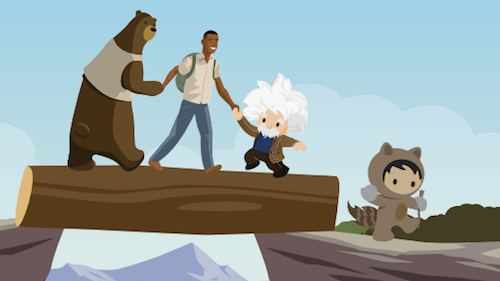 “I’m really interested in helping brands figure out how they’re different and exceptional from everybody else, and [helping] them deploy that in their marketing,” explains Jay. In this quest, people are your #1 resource. Use them. “Everyone has access to the same listicles, but no one has access to your people. You should execute against that." To differentiate your marketing, you need to access and flex your creative muscle. How can companies accomplish this? Jay says it all comes down to adopting the mentality of a life-long learner and accepting the new status quo. “When you have that mentality, you’re never pausing to ask: am I average? Should I keep going? Should I keep pushing myself? You’re always thinking: I’m going to keep learning,” says Jay. Jay says marketers shouldn’t obsess over whether the content they're putting out is average or comparing themselves to others. Instead, continue growing every day. 8. “Being exceptional is about being different. The best way to be an exception is to put all of yourself into your work." He continues, “There is no situation that is entirely identical to someone else’s situation. 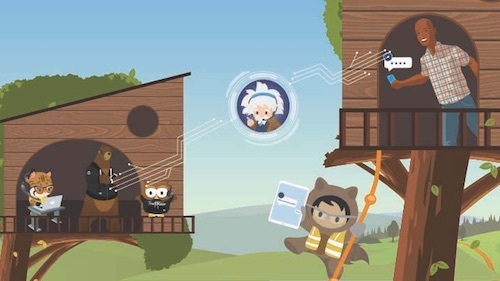 You as an individual, your team, your brand, the way you’re marketing, your product — all of these factors roll together to make your situation different than anyone else’s." Give 100% of your efforts every day if you truly want to grow your career and be an exceptional marketer. He continues, “Content marketers are in the mode of being the bottom feeders in the ocean that is the internet.” When it comes to content marketing, it’s not about surviving in that ocean; it’s about figuring out ways to thrive. “The idea that standing out or being different takes guts has to die. This is just the state of the world. The safe bet is always being different." These quotes are just the beginning of what we discussed with Jay (@jayacunzo). Get more details and inspiration on how to unleash your creativity in this episode of the Marketing Cloudcast.